Matt Botts earned top scores in written, hands-on tests in the pointer-caulker-cleaner category. When it comes to restoring historic brick and stone buildings, Matt Botts isn't just one of the best apprentices in Portland. He's one of the best in the country. The Pioneer Waterproofing employee, who is a member of the Bricklayers and Allied Craftworkers Local 1 Oregon, recently won first place in the pointer-caulker-cleaner category at an international apprentice contest held at the International Masonry Institute in Bowie, Maryland. The competition, which drew between 80 and 100 apprentices from the U.S and Canada as competitors, was held in Washington, D.C. In order to earn a place at the international contest, apprentices had to finish in a top position at local and regional contests. Apprentices could qualify for the international competition in one of four areas: tile, brick masonry, or the pointer-caulker-cleaner category that is Botts' forte. 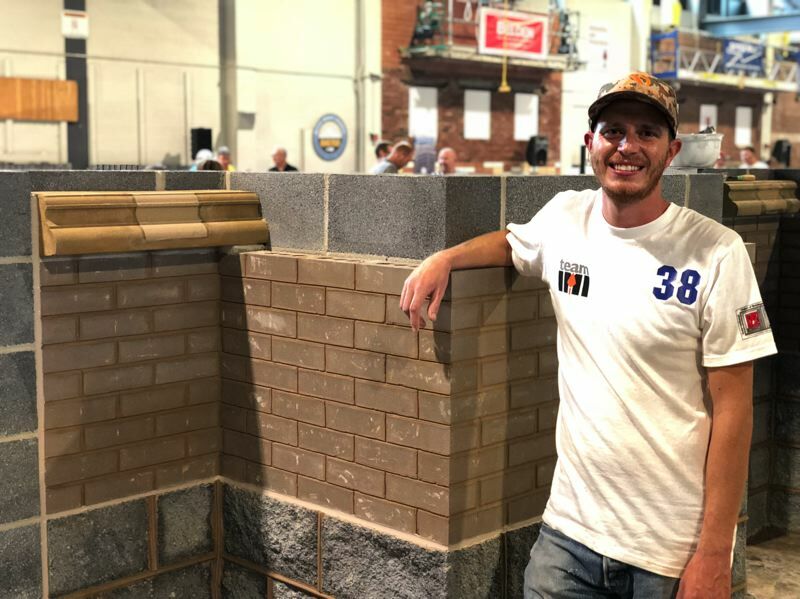 Botts was one of four apprentices that represented Local 1 in a regional competition earlier this year, but he was the only one to finish high enough in that competition to advance to the international competition. Just months away from finishing his apprenticeship, Botts said he never planned on a career high above the ground working on old brick and stone buildings. He had previously done machining work. But when some friends suggested he look into the masonry trade, he decided to enroll in the apprenticeship program offered through the Oregon and Southwest Washington Mason Trades JATC. He turned out to have a knack for the work, according to Matt Eleazer, president of Local 1. "He has good hand-eye coordination and good attention to detail," Eleazer said. But natural skill is just part of what it takes to become one of the best in the pointer-caulker-cleaner field. Botts also had an advantage of working on projects that exposed him to a full range of hands-on tasks under the expertise of instructor and journeyman Derek Niekes. "Matt got some great training from Derek," Shawn Lenczowski, JATC apprenticeship coordinator, said. In addition to fine-tuning his skills daily on the job, Botts committed to putting in some extra training time. Prior to the regional competition, he spent a couple of evenings after work at the Local 1 shop practicing on a mock-up project similar to what he would encounter in the contest. He repeated the after-work practice sessions before the international competition as well. While the regional competition tested apprentices in a hands-on project, the international competition added a written test. The competitor with the highest combined test score and hands-on practice score in each category at the international level walked away with a trophy as well as a cash award and new tools. Botts finished the written portion of the international competition feeling confident he'd done well. 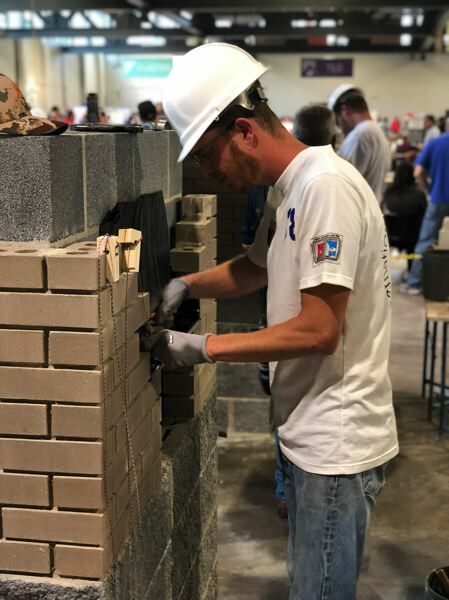 His confidence continued to stay high as he moved to the hands-on portion of the contest, which gave competitors a chance to show off their skills replacing mortar between masonry units, cleaning building surfaces and applying seals to expansion joints. "They had built a little brick wall, and I had to do repointing, putting the mortar back in, and re-lay some brick," he said. After he finished, as he walked around the floor looking at the work of the 15 other apprentices in his category, Botts was pleased with how he thought he had performed. "I thought I might be in the top three or four," he said. Eleazer and Lenczowski, who attended the international competition with Botts, weren't surprised when his name was announced as the first place winner in the pointer-cleaner-caulker category. "When we looked at everyone's work, we had a good feeling," Eleazer said. "We knew (Matt) had put his best foot forward." While Local 1 has had apprentices advance to the international competition in the past, Botts is the only one to score a first-place finish. "It's a big stage," Lenczowski said. "It's a pretty big deal."